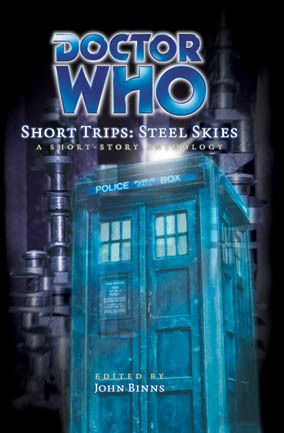 My first piece for Big Finish’s Short Trips range was the story Deep Stretch in Steel Skies. I had the opportunity to pitch for both this collection and John Binns’ other Short Trips in progress, Life Science, the idea being that he wanted a different set of writers for each volume. Then he ended up commissioning me for both, thereby tripling my published output overnight. The story featured my least favourite Doctor (Pertwee), and wasn’t terribly well received, but it was really cool to finally be writing some licenced Doctor Who fiction. As an example of how un-well received this story was, check this quote from The Discontinuity Guide. Utterly inconsequential, Deep Stretch is an incompetent attempt to address the morality of incarceration, but isn’t long enough to be able to achieve this. Let’s instead linger on this review from Jamas Enright on The Doctor Who Ratings Guide. Deep Stretch — Richard Salter — The third Doctor and Jo investigate an underwater prison full of hardened female inmates. Of course there is injustice on display, and the Doctor stops it — there’s nothing new here, but thumbs up to Salter for using the Pertwee regulars without making them sound cliched, boring, or preachy, something which appears rather challenging.